Everyone knows that any text, article, and even post on a blog requires decent planning and needs to have a proper structure and format, especially an essay. However, keep in mind that an essay is not the most complex task. There are many other challenges that you will have to deal with! Therefore, if you still have a question about how to write an abstract for a research paper, you should consider hiring a professional writer that will help you with your academic paper in the shortest terms for an affordable price. An essay on any subject, on the contrary, is a common task for students, but it differs from other written assignments because of the freedom of self-expression that it gives you. The main body of an essay is the most important part of the whole paper. All parts of an essay are thematically aimed at something special. The intro prepares the reader, gives him or her basic information about the topic, the main thesis, and catches his or her attention, gradually leading him to the following section. The conclusion summarizes the main points, arguments, evidence, and thesis. But why is writing body paragraphs is most important process? The main body reflects a problem, in this part, you will need to support the thesis with evidence, conduct an analysis, and provide the main ideas to solving the problem. 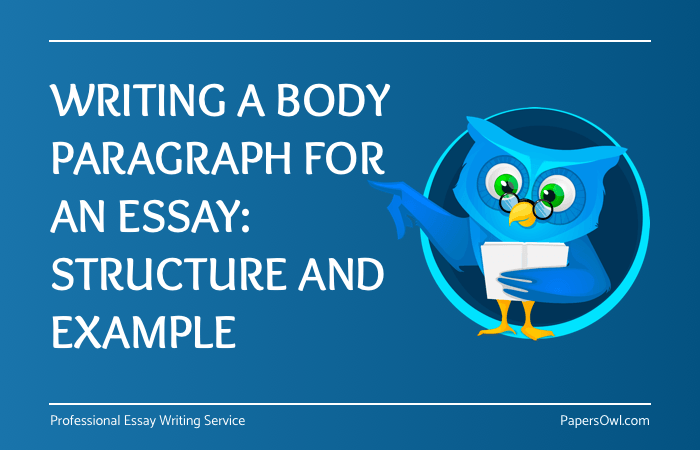 Especially here, you have to pay attention to structure because the body paragraph outline will vary widely, depending on the different essay types, disciplines, and other aspects. Thus, it is important to write the main part following a logical path. You can conduct research or use deduction and read our advice on how to write a rough draft for an essay. If you can’t write an introduction from scratch, you can skip it and start with the main body and here, we will try to provide you a couple examples of the basic structure of an essay and some tips for writing an excellent one. Arguably: Debatable points that you will need to prove with some evidence. Analysis: Using analysis, you will explain the provided pieces of evidence but do not forget to tie the evidence to the main idea and discuss it. Transition to the next part: This helps you move to the next paragraph gradually. It is recommended to start the paragraph with a transition instead of putting it in the end, as this will help you make the text clearer to your reader. The structure can vary depending on the volume and the main idea of the text. A thesis means one short finished idea, which an author wants to tell the reader, while examples, arguments, and evidence are being used in order to prove the thesis. How do you find decent evidence? It can be anything – a situation from real life, scientist’s opinions, news or facts that were proven by science. Quick tip: a good way to prove your ideas is to use a few arguments for every point that you make. One of them should be strong and indisputable, while the second one can be less convincing but yet informative. However, do not use more than five augments. It can make your text too long and boring. Sometimes, a college essay assignment can seem too hard to do on your own. However, using our tips you can easily cope with it. Of course, some students haven't enough time as they are being overloaded with several types of assignments, but it is not a problem as they can buy an essay for cheap from us as we are a professional team and we are used to accepting any challenge.